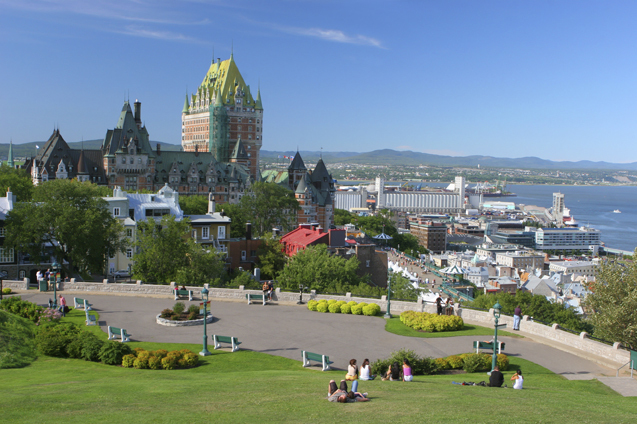 In May 2015, the North Vancouver School District will offer Grade 8 French Immersion students from across the District the opportunity to travel to Quebec City for a unique educational experience. This trip, arranged in collaboration with Auberge du Mont, an organization specializing in educational programs for French Immersion students, is rich in linguistic, historical and cultural experiences. The District French Immersion trip next year will take place from May 10, 2015 – May 16, 2015. The 2015 District Quebec Trip will take Grade 8 French Immersion students to the heart of French-Canadian culture. Students will be accommodated in a mountain resort just a short drive from Old Quebec, and supervised by North Vancouver School District employees and Auberge du Mont staff members. There will be French Canadian guides for all planned activities who will converse with students exclusively in French. Parents and students interested in learning more about the 2015 District Quebec Trip were invited to attend an information meeting on Wednesday, May 21, 2014 at 7:00 p.m. at the Education Services Centre, 2121 Lonsdale Avenue, in the Mountain View Room on the 5th floor. The meeting outlined a trip itinerary and provided details on trip costs, supervision, and the expectations of students prior to and during the trip. This unique travel experience will provide Grade 8 French Immersion students with valuable cultural connections to French Canada, and many authentic opportunities to practise their French conversational skills. We believe that the 2015 District Quebec Trip will excite and engage students in their French studies as they continue in the Secondary French Immersion program. We hope that you will consider this educational opportunity for your child. Please note: The District Quebec Trip is not required as part of the mandated French Immersion program, but is a valuable enrichment opportunity. In 2014, 44 students from across the School District participated. Please note that this trip will be limited to 60 students; registration will be done on a first-come, first-serve basis beginning June 2, 2014. Please complete the forms and return them in an envelope by June 13, 2014.